See more objects with the color olivedrab saddlebrown peru peru palegoldenrod or see all the colors for this object. This is a Sample. It was designed by Marianne Strengell and made by Marianne Strengell. It is dated 1937–61 and we acquired it in 1984. 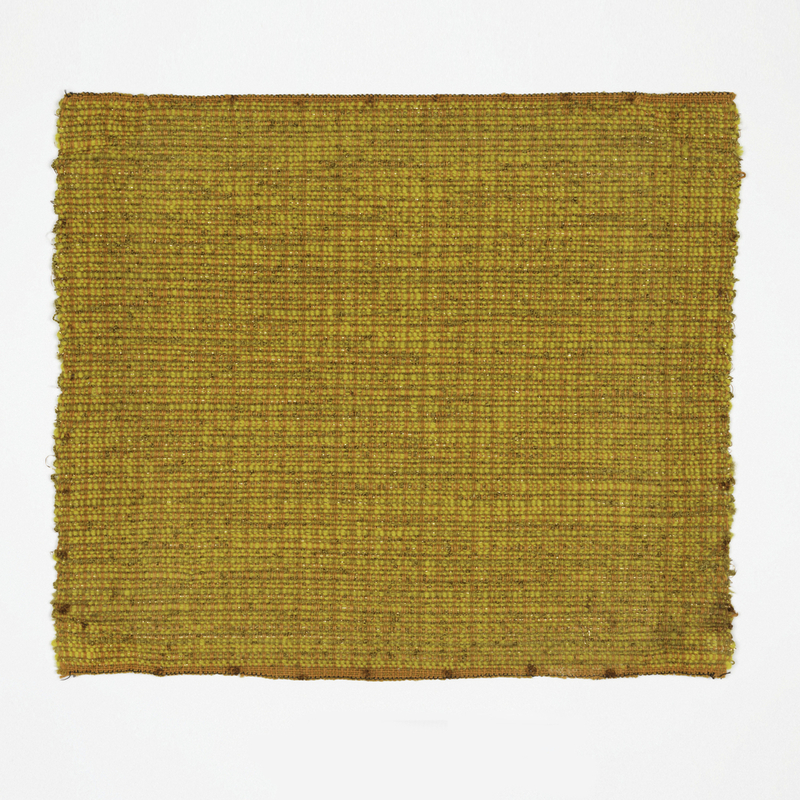 Its medium is cotton warp with wool, rayon and lurex weft and its technique is plain weave with closely and loosely dented warps. It is a part of the Textiles department.